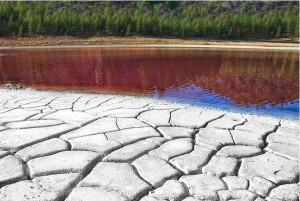 The images of Mahoney lake Ecological Reserve which appear on several Flickr sites suggest that it is a very unique ecosystem with unusual physical and biological characteristics. 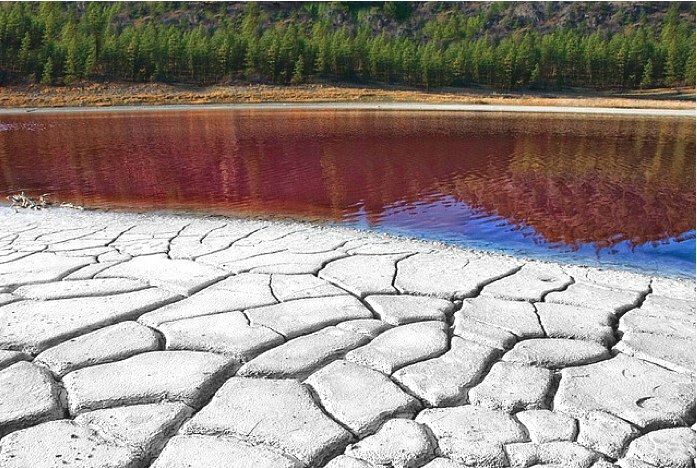 It is a meromictic lake, meaning a lake in which some water remains partly or wholly unmixed with the main water mass at the seasonal circulation periods, probably due to chemical density gradients, or geological formation. 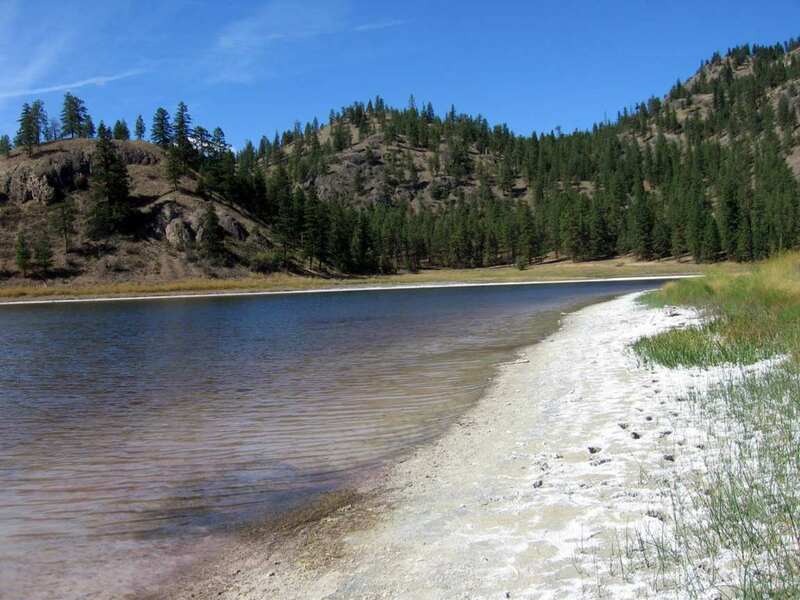 Lori Burgoyne has provided this image which we have also used on our index page as it demonstrates so well the extremes of this ecological reserve. It was taken on November 24 2009. 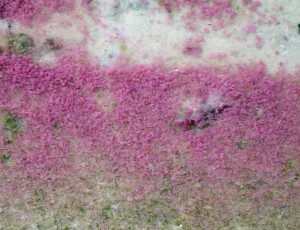 In this image from the Flickr site of Audio Surf, taken on August 16, 2011, the pink gradations of the purple bacteria, Amoebobacter purpureus,show up. This lake is purported to have the highest concentration of this bacteria in the world. 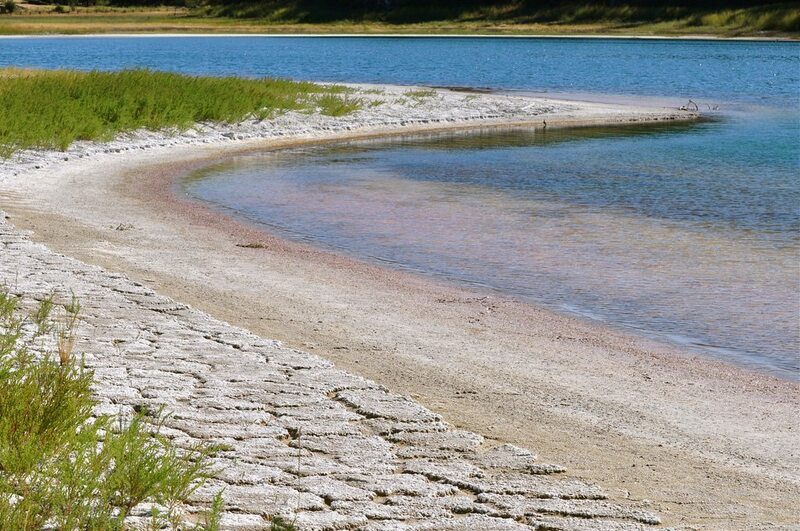 See other references on this website under research on Grazing of the Copepod Diaptomus connexus on purple sulphur bacteria in a meromictic salt lake. 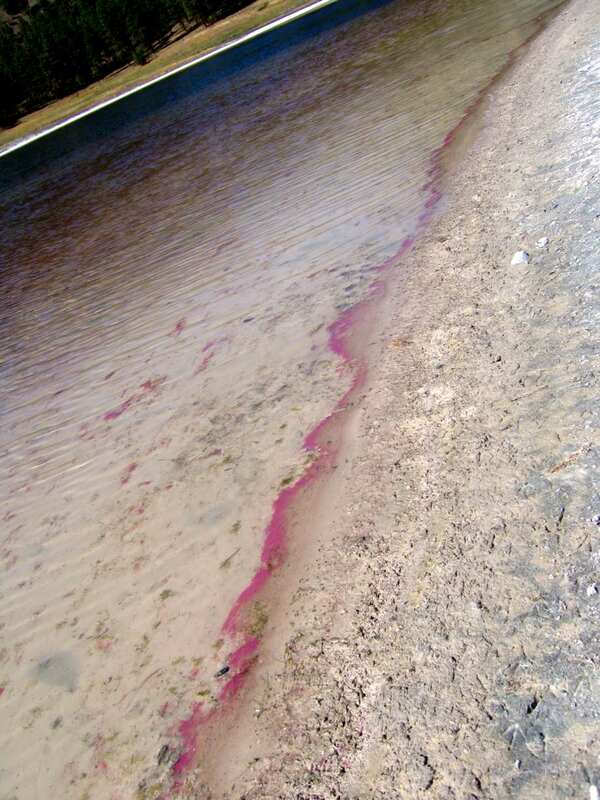 Darren Inouye on his Flickr site has also provided the following images on this page of the purple bacteria, Amoebobacter purpureus taken on September 5, 2005 in Mahoney lake. 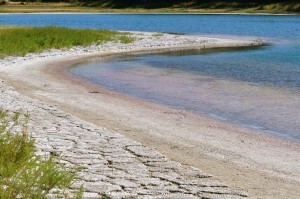 Along the lake edge, a solid line of Amoebobacter forms. When I examined the image above right close up, I was surprized to discover that Darren’s macro photo had also picked up the copepod Diaptomus connexus. 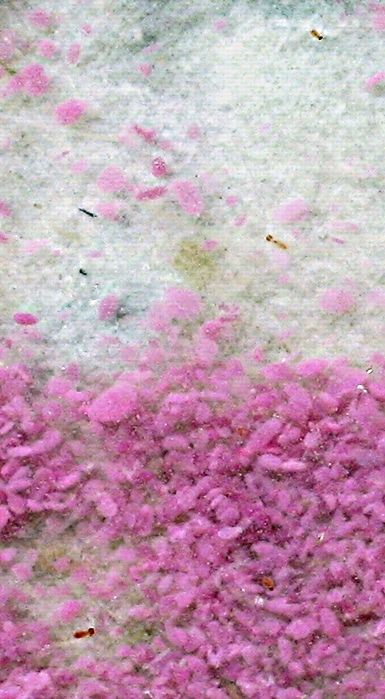 There are at least three such copepods in the blown up version of the picture shown on the left. Two darker red egg sacs trail a yellowish body. These would be visible to the naked eye, but not obvious unless you are looking for them as they are probably less than 1 mm in length. Thanks Darren for this serendipitous discovery.